The central point argued in Vali Nasr’s book “The Dispensable Nation” is that for the Obama administration, diplomacy took a back seat to the military as the administration took control of the war in Afghanistan from the Bush administration. In fact, the second part of the book’s title is “American Foreign Policy in Retreat”. As the chief aide to Richard Holbrooke, whom Obama chose as his special envoy to Afghanistan and Pakistan, Nasr puts Holbrooke on quite a pedestal in the book, and others have built a bit of a cottage industry around attacking Nasr’s version of events, but I want to concentrate just on the missed opportunity for diplomacy. Around that time, in fall 2009, Holbrooke and I had a meeting with Egypt’s foreign minister. Egypt’s intelligence chief, General Abu Suleiman (who later became vice president when Mubarak fell), was also in the room. At one point he turned to Holbrooke and said, “The Taliban visited us in Cairo.” Holbrooke said, “Really, who came? Do you remember?” Abu Suleiman reached into his bag, pulled out a piece of paper, held it before his face, and read three names. The last one made us all pause. It was Tayed Agha, a relative the Taliban chief, Mulla Omar, as well as his secretary and spokesman, whom we knew to be actively probing talks with the United States on Taliban’s behalf. We knew Tayed Agha to be a player, but we did not know then that he would become America’s main Taliban interlocutor in first secret and later formal talks that began in 2011 (and were made public in February 2012). The commanders’ standard response was that they needed two more fighting seasons to soften up the Taliban. They were hoping to change the president’s mind on his July deadline and after that convince him to accept a “slow and shallow” (long and gradual) departure schedule. Their line was that we should fight first and talk later. Holbrooke thought we could talk and fight. Reconciliation should be the ultimate goal, and fighting the means to facilitate it. 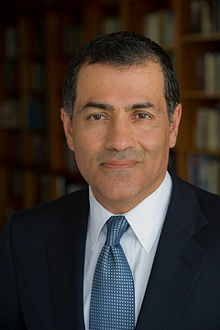 Vali Nasr now serves as Dean of the School of Advanced International Studies at Johns Hopkins. Foreign Policy has published an excerpt from Vali Nasr’s book The Dispensable Nation: American Foreign Policy in Retreat, in which Nasr relates his experiences as a key deputy to Richard Holbrooke, who served as Barack Obama’s special envoy to Afghanistan and Pakistan. The title for the piece tells virtually the entire story: “The Inside Story of How the White House Let Diplomacy Fail in Afghanistan”. The piece should be read in full (as should the book, I presume), but I want to highlight a couple of passages that fit well with points I have tried to make over the years regarding US policy in Afghanistan and Pakistan. Still, Holbrooke knew that Afghanistan was not going to be easy. There were too many players and too many unknowns, and Obama had not given him enough authority (and would give him almost no support) to get the job done. After he took office, the president never met with Holbrooke outside large meetings and never gave him time and heard him out. The president’s White House advisors were dead set against Holbrooke. Some, like Lt. Gen. Douglas Lute, were holdovers from George W. Bush’s administration and thought they knew Afghanistan better and did not want to relinquish control to Holbrooke. Others (those closest to the president) wanted to settle scores for Holbrooke’s tenacious campaign support of Clinton (who was herself eyed with suspicion by the Obama insiders); still others begrudged Holbrooke’s storied past and wanted to end his run of success then and there. At times it appeared the White House was more interested in bringing Holbrooke down than getting the policy right. Not only did that not happen, but the president had a truly disturbing habit of funneling major foreign-policy decisions through a small cabal of relatively inexperienced White House advisors whose turf was strictly politics. Their primary concern was how any action in Afghanistan or the Middle East would play on the nightly news, or which talking point it would give the Republicans. The Obama administration’s reputation for competence on foreign policy has less to do with its accomplishments in Afghanistan or the Middle East than with how U.S. actions in that region have been reshaped to accommodate partisan political concerns.